The latest release of JDeveloper 12c (12.1.3.0) along with WebLogic Server 12.1.3 came up with some new Java EE 7 features. One of them is support of JSR 356 Java API for WebSockets. Actually the WebSocket Protocol (RFC 6455) has been supported starting from 12.1.2.0 release, but it was based on WebLogic specific implementation of the WebSocket API. Now this proprietary WebLogic Server WebSocket API has been deprecated. However, it is still supported for backward compatibility. 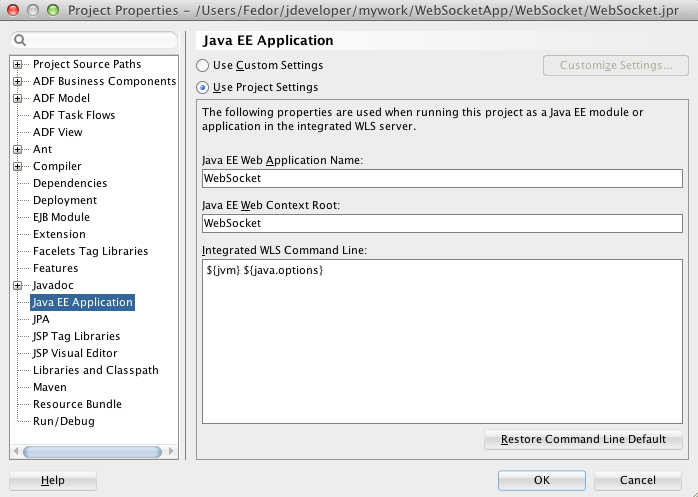 In this post I am going to show an example of using JSR 356 Java API for WebSockets in a simple ADF application. The use case is about some sailing regatta which takes place in the Tasman Sea. 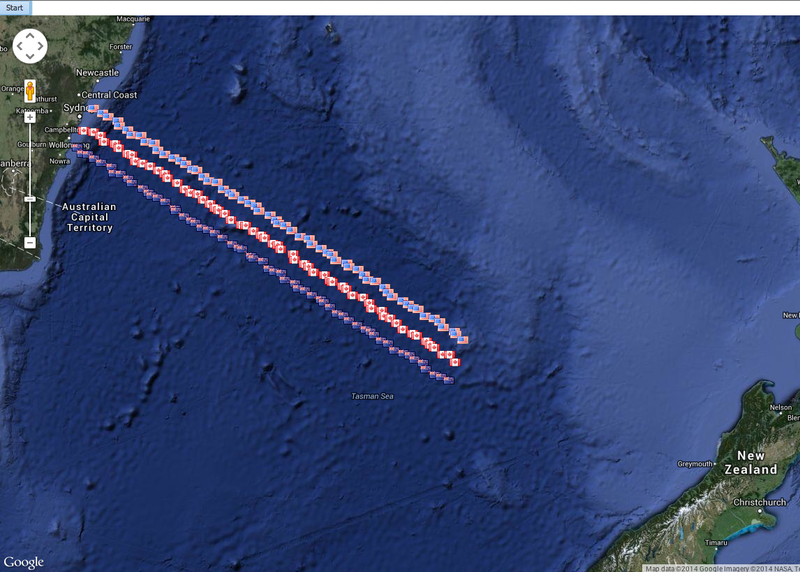 There are three boats participating in the regatta and they are going to cross the Tasman Sea sailing from Australia to New Zealand coast. The goal of the sample application is to monitor the regatta and inform users about how it is going on, showing the positions of the boats on a map. 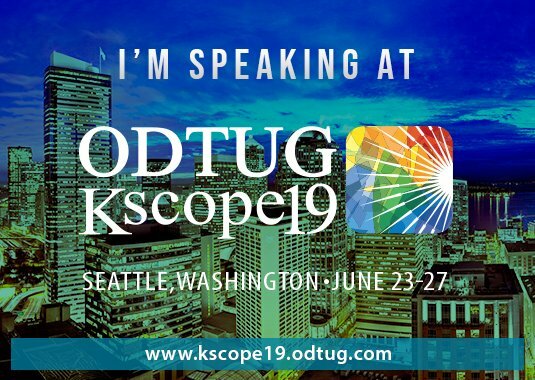 We're going to declare a WebSocket server endpoint in the application and when a user opens a page a Java script function opens a new WebSocket connection. The application uses a scheduled service which every second updates boats coordinates and sends a message containing new boats positions to all active WebSocket clients. On the client side a Java script function receives the message and adds markers to the Google map according to the GPS coordinates. So, each user, interested in the regatta, is going to see the same updated picture representing the current status of the competition. Note, that JDeveloper underlines the annotation with red. 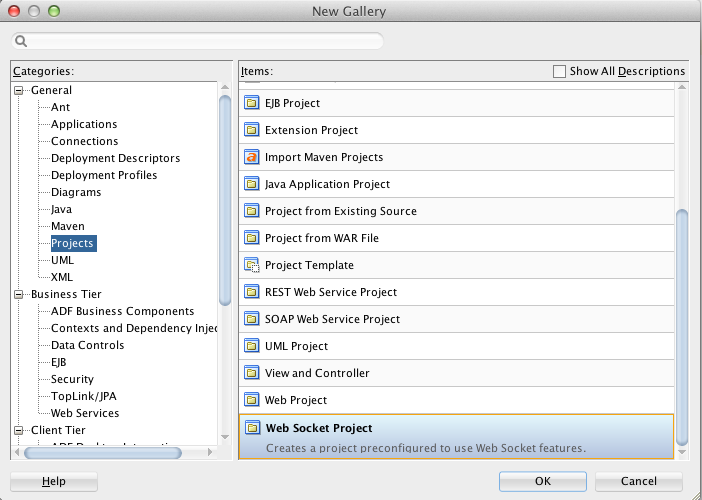 We are going to fix the issue by letting JDeveloper configure the project for Web Socket. By the way, there is a typo in the message. In our use case we have to notify users with new GPS coordinates of the boats, so we should be able to send via WebSockets something more complex than just text messages. 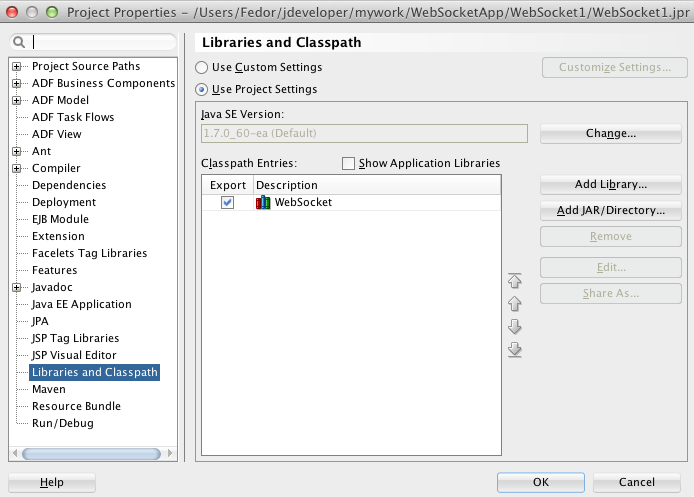 For our use case we're going to send an instance of the Regatta class to the WebSocket clients. The Regatta contains all regatta participants represented by the Boat class instances containing updated GPS coordinates (longitude and latitude). This can be done by creating a custom implementation of the Encoder.Text<Regatta> interface, or in other words we're going to create an encoder which can transform a Regatta instance into a text and specify this encoder to be used by the WebSocket endpoint while sending an instance of the Regatta. You can learn down here how to integrate Google maps into your applications. The sample application for this post requires JDeveloper 12.1.3. Have fun! 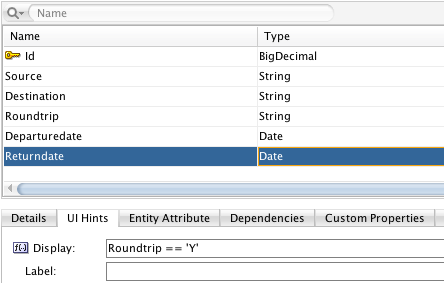 In one of my previous posts I showed how we can use Groovy expressions in custom properties of Entity and VO attributes. The technique allows custom property values to be evaluated at runtime and in order to use it we had to assign a Groovy expression to a custom property programmatically as it is not possible to do that declaratively at design time. The sample application for this post requires JDeveloper 12.1.3 and it is available for download here.